Getting A New Puppy, But No Idea Where To Begin? 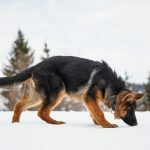 Do You Want To Avoid All Of Those Naughty Behaviours You See Other Dogs Doing? 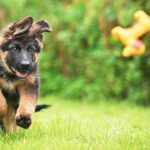 Are You Struggling To Tire Your Puppy, Via The Vets 5 Minutes Per Month Exercise Recommendations? Have You Had Your Puppy For A Few Days And Now They Are Finding Their Feet And Causing Mischief? Training a puppy is great because you’ve got a fresh slate to work with. It’s important to get things right from the start. Forget all about that strict obedience with me though, I will get you a puppy that wants to be with you, wants to listen to you and doesn’t care about anything else that is happening around them. Not only do I help you as an owner, but I make sure you both have fun and get the information that you want to aid what can be a difficult and frustrating time. My classes are fun and much more effective than any others around. Your puppy will be develop confidence, listening skills and be super chilled and calm when I’m finished with you. I say you, because it’s not the puppy I am teaching. They can learn something new in seconds, but the owners … they take a little longer. I get results and if you listen, learn and go out and bloody well practice what I teach you, you too can get the same results. Gone are the days of having to wait weeks to start your puppies training too. The way that I train, means your puppy can start once they are fully vaccinated and have the all clear to venture out. 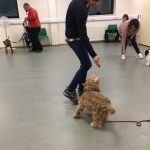 Due to the socialisation period being a very short one by the time you get your puppy home, it is very important to get them socialised CORRECTLY. My classes do not allow off the lead and puppies playing with each other. Instead I work on teaching you and your puppy to focus on each other. You don’t want your puppy to be a bully or get bullied do you? If you are nodding your head at this then don’t you worry because my classes will set you both up for success and you will have a puppy that listens and wants to be with you. We welcome any member of the family to attend and children are allowed in the hall, providing that they’re well behaved and will take part or sit quietly during the lessons. These courses are run for four weeks. 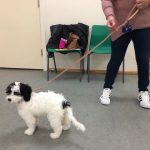 If you want to really kick on and get things working just as well outside of the classroom, then you can get started straight away, by booking the Precise Puppy Training Program, via the Online Courses page. 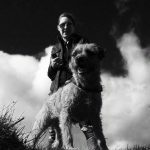 This is an online training course where you can tackle those biting, crate and outside training problems, before you even get to class. The results from those who have used this program, really show when the puppy comes into the hall. Held on Thursday evenings, 6:30pm at St Thomas Moore School, Buxton for 30 minutes. For these courses you must book and allocate your slot which you can do following the booking links below. Please note that your puppy must be comfortable in an environment around other dogs and people. 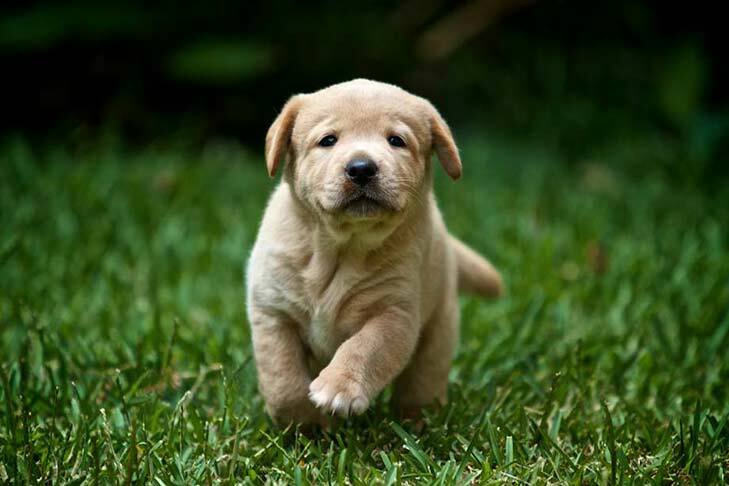 If you’re unsure about whether your puppy meets the requirements, then I ask for you to email me first to further. I do not allow full, half check or choke chains EVER. No excuses. These will not be permitted in the hall and you will be asked to remove and replace them. If you haven’t a replacement, then you can’t participate in that class. I do not allow extending or flexi leads in the hall either. I also do not allow any Wagg or Bakers products. 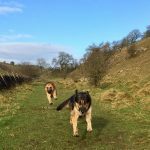 You can email claire@highpeakdogservices.co.uk for any more details that you may need. 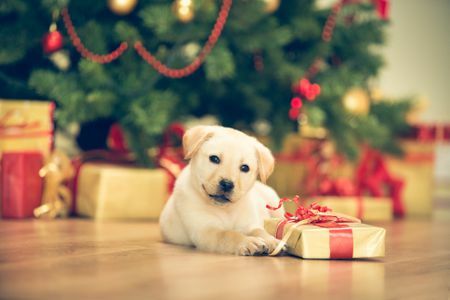 Worried of having to rush your puppy to the emergency vets over Christmas time? Told Them To Leave The Presents, but your back was turned and they’ve gobbled up the chocolates? Do you wish they would settle down, during the excitement of new guests and family arriving? 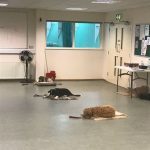 Claire knows the worries of dog owners at Christmas, and is now ready to share her 5 Special Stay Safe at Christmas Training Tips which will also include training to really tire your puppy more than a walk ever could. In these two separate, hour long training classes, you will learn just how to avoid that emergency trip to the vets and make sure your festive season is filled with smiles, special times and safety. 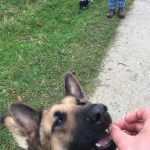 Puppies up to 1 year old allowed, must be friendly towards other dogs and people.